By John Woestendiek. Avery. $26. The Pulitzer Prize-winning investigative reporter showcases his exhaustive probing skills in this rich detailed and well-researched volume. 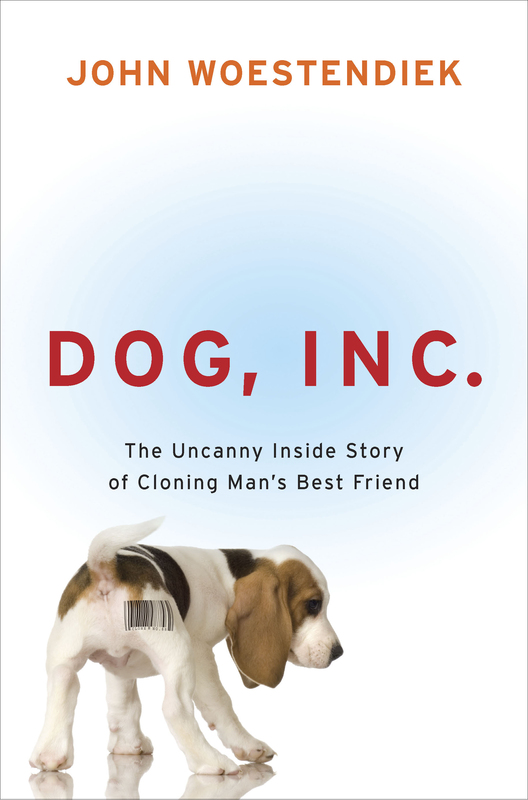 Costly investments, bizarre scenarios and scientific enigmas are around every corner as this narrative threads its way back and forth between the United States and South Korean laboratories striving to get the edge on cloning the dog. Emotion, of course, plays the leading role as this cast of characters from the founder of the University of Phoenix, a wacky former beauty winner and an ex-law-enforcement officer seek to have their cherished pet replicated in high-stakes scientific environments accented with a wide array of political overtones prompted by university, federal government and animal-welfare organizations’ distrust. That special bond (i.e. soul mate) and the swift evolution of biotechnology simply set the stage for pet cloning to move forward in the early 21st century. Woestendiek’s profiles are richly detailed and well-researched, flowing smoothly with a powerful connection to readers. The irony is that what you see (photos of the dogs being cloned) isn’t always what you get. “It took eight years of trial and error, at two universities, on two continents,” Woestendiek establishes, “to clone the world’s first dog; only two more years to put that service on the market.” The price tag: How about $150,000, plenty of waiting and considerable angst. The first puppy clone in the world was derived from skin cell of an American-born Afghan whose cells were fused with the egg cells of a Korean farm mutt. And he was eventually delivered by a yellow Labrador retriever April 24, 2005 at Seoul National University’s veterinary school, which spent $1 million on the project. Woestendiek emphasizes that the lack of federal oversight and published scientific data has left it almost impossible for animal-welfare groups to determine how many animals are being used and how they’re being treated behind the scenes. Packed with eclectic array of characters, psychological turbulence and rich, insightful detail, “Dog, Inc.” is a sobering reminder that you can’t resurrect memories and love at any price.